That’s amazing! Let’s keep it going! This all-volunteer refuge for animals is a winner. They rescue goats, rabbits, cats, turkeys, sheep, cows, pigs, ducks, deer, and chickens on an 8-acre farm. They have a powerful humane education program promoting a plant-based lifestyle with community outreach and a steady stream of 3,000 visitors per year, including many tourists. The $5 Friday review found selfless volunteers working tirelessly, a strong social media following, animals receiving the medical care they need, clean financials serving approximately 300 animals on an annual budget of only $140,000, and an outstanding and experienced leadership team. I highly recommend supporting Leilani Farm Sanctuary. Why should you donate $5 to Leilani Farm Sanctuary? Here are five adorable reasons. First time participating in $5 Friday? Click here to learn how it works! Click here to check out previous picks! You can also read Leilani’s inspiring rescue of Berney on Animals of America today. I proudly donated $5 to Leilani Farm Sanctuary. 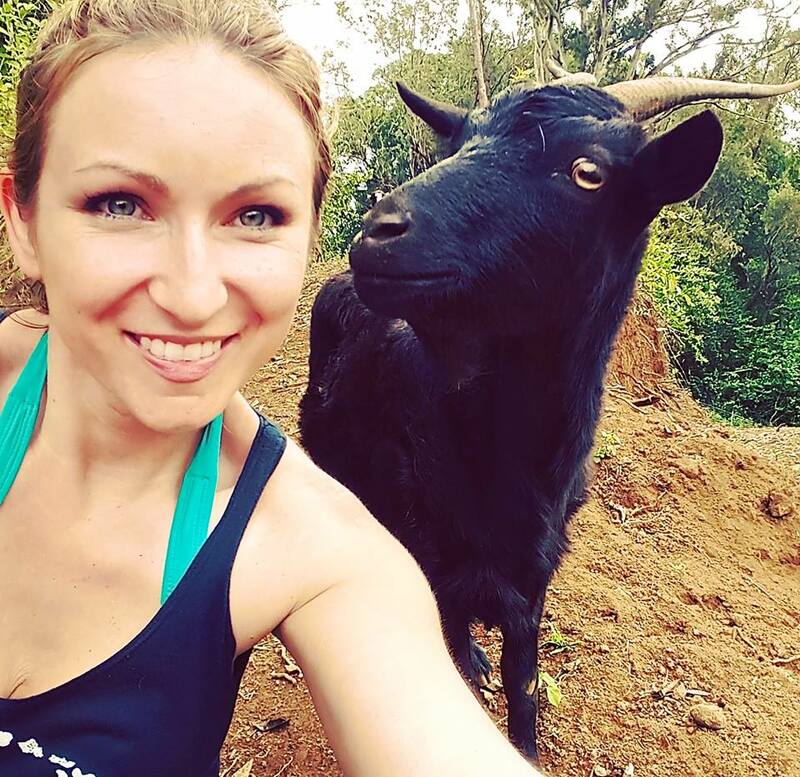 “Leilani Farm Sanctuary, located on a lush 8-acre farm in Haiku, Maui, is home to donkeys, goats, chickens, cats, deer, rabbits, ducks, pigs, deer, sheep, tortoises, guinea pigs, geese, ducks, turkeys, a cow, and a dog. p.s. Have you heard of this website, Andrew? As far as that last sentence, a submission by you on their website could also possibly be a great way to get new readers to your own blog and introduce them to animal issues, veganism, etc. Thank you for your donation, Christine. We look forward to your visit someday!! The animals (and humans) at Leilani Farm Sanctuary of Maui thank you for this distinguished honor! Just saw this; sorry to be late on it; hope my $10 can still be matched! Happily donated $5.00. Andrew is a huge inspiration. 5 bucks to Leilani farm. Thank you so much, Erin. The funds will go a long way to provide care for the animal here. You and Brian rock! Donated $5. Just love Berney’s story and so happy you were able to welcome him. He sounds like a very special piggy. Thank you, Sophie! 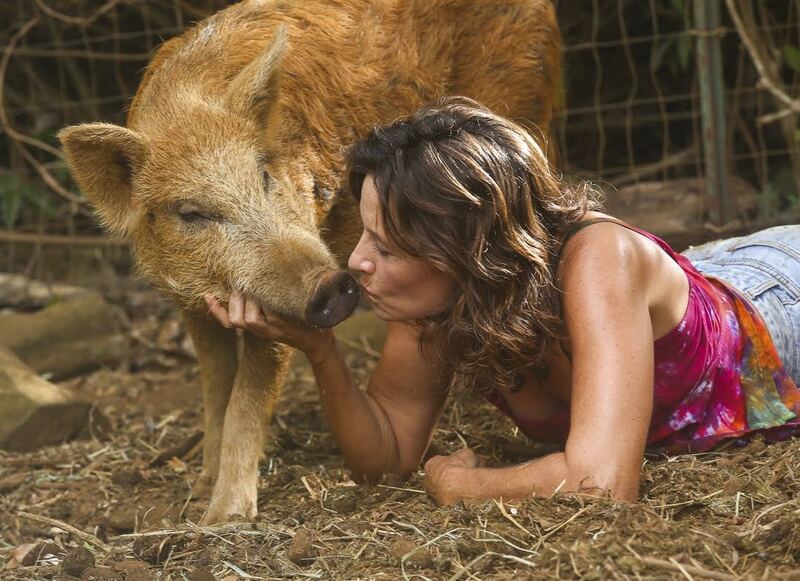 Berney and all the animals at Leilani Farm Sanctuary appreciate you. Happy to donate to this wonderful sanctuary! Thank you Leilani Farm for all you do! More than happy to donate $10 to this great cause! Thanks for bringing it to my attention, Andrew! Thank you, Diane, from all of us at Leilani Farm Sanctuary! Thank you, Robert. We have a wonderful, handsome, and affectionate sheep we named Robert -and he thanks you too! We had the pleasure of Detailing one of the farm vehicles and got to see what an amazing place they have created there for animals. My guys were taking pictures of all the big turkeys and animals and sending them to us as they were working. Gladly willing to donate $20 to their cause. Keep up the good work. The animals need a nice place like this. I donated $5.00 to Leilani Farm Sanctuary. We’re thankful for your kindness!! This is very generous of you, Vicki. Thank you so much. Your donation will fund veterinary care for an elderly cat. Donated $10! 🙂 I hope this $5 Friday campaign is a big success! So glad you were selected, Lauralee! Thank you, Mark. It is very much appreciated! Thank you for helping Leilani Farm Sanctuary! I love Leilani Farm Sanctuary! My sweet Begonia bunny loves living on the farm, digging in the dirt, and socializing with lots of friends. Thank you Kirschner’s Korner for sponsoring $5 Friday! I’m donating $50. Happy Friday!! The Sanctuary can only exist through the kindness of caring people like you, Debbie. Thank you! Just donated $5 in honor of your dad Andrew. Thanks for all you do for animals and your thoughtful, inspiring posts. The funds will be put to good use. Thanks Lee! $100 to Leilani Farm Sanctuary, a beautiful place for animals to spend the rest of their rescued lives. The animals are fortunate to have a friend like you, Sarah. Thank you for making this generous donation on top of sponsoring Jerome the goat. Hugs from Jerome!! Donated $50 to Leilani Farm Sanctuary. Please note donation was made March 18th but comment was date stamped March 19th. Thanks! Your donation will count for the 18th of March. The animals will have lots of fresh hay, thanks to you!! Thank you very much! Looking forward to your visit in May. We donated $10.00 to Leilani Sanctuary. Thank you for helping all the animals have a safe place to be loved! Much appreciated! The funds will be put to good use for the rescued animals who rely on us to care for them. Donated $25.00 to Leilani Farm Sanctuary – to go an volunteer is on my Retirement Bucket List. Can’t wait to meet the wonderful people and animals there.! happy to donate to help the animals! 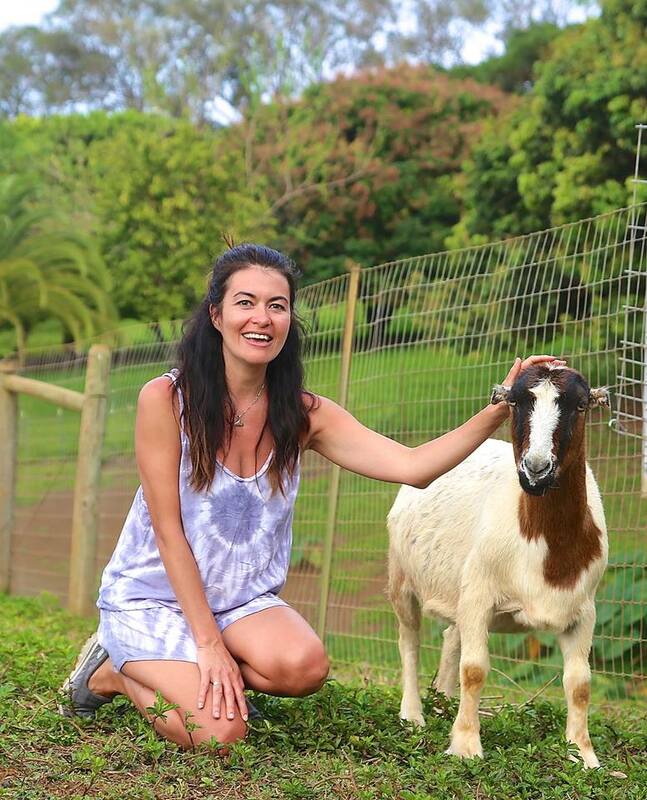 I’m more than happy to donate $25 to Leilani Farm Sanctuary of Maui. I’ve visited the sanctuary and it’s very inspirational to see the love and care the animals receive. Donated $5 to all my human and animal neighbors at Leilani Farm Sanctuary. I miss getting to spend time with them, and hope to do some work with them in the future. BTW this is Amanda Schaefer. WordPress used an old account of mine to login for commenting. Thank you all for your generosity. I sincerely appreciate it. It was so kind of you to take the time to support rescued animals. It was a record-breaking $5 Friday. 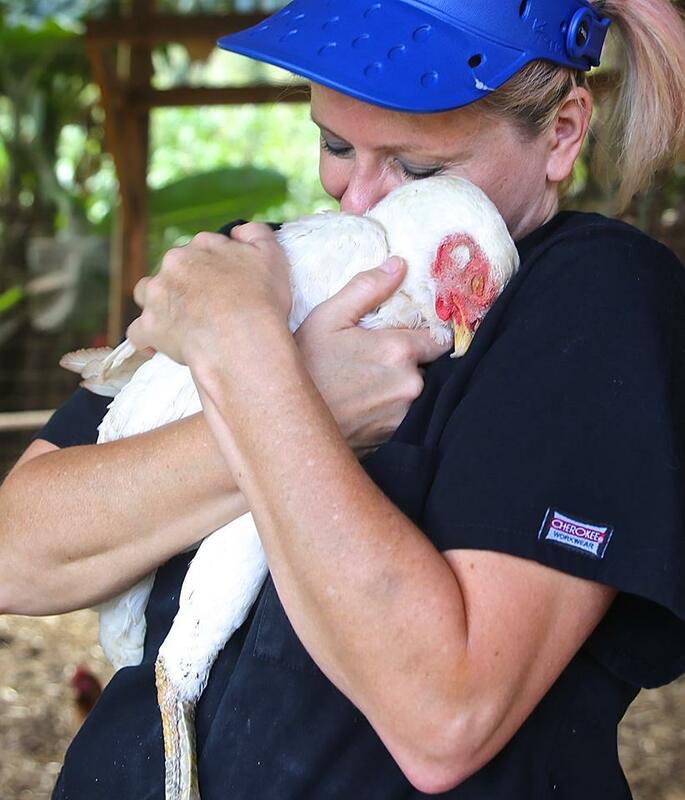 Our friends at Leilani Farm Sanctuary are deeply grateful. I’ll post a total for the day after I confirm it this weekend. I hope to see you all again next week for another $5 Friday. Hello Andrew. Could you sneak one more $5 matched donation in for Leilani Farm Sanctuary? It and Laurelee is near and dear to my heart. I live in Massachusetts now. I didn’t see the post until late last night and fell asleep while in the middle of trying to donate, so I missed the deadline! 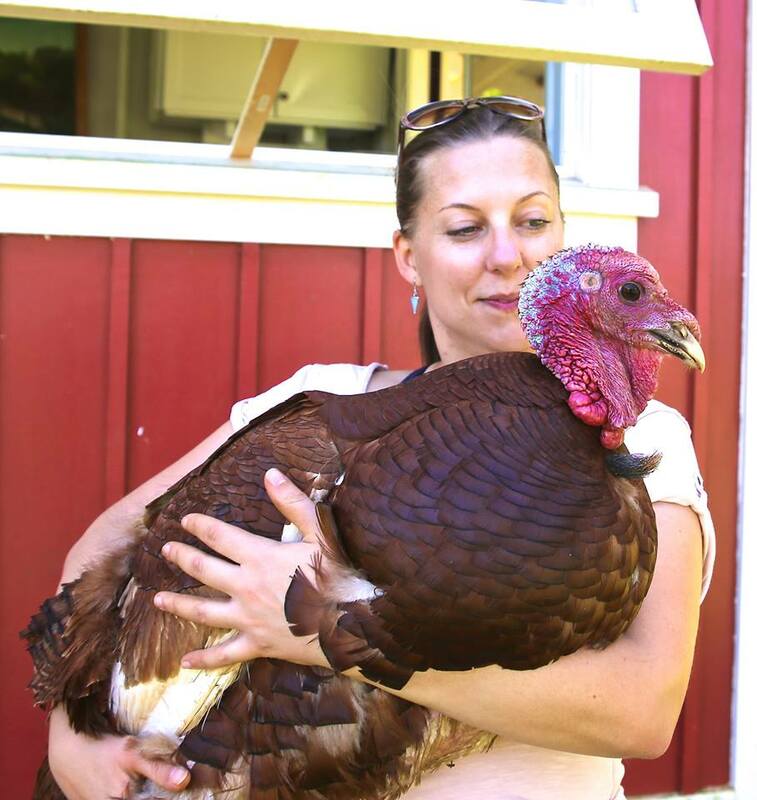 Leilani Farm Sanctuary received another $10,000+ in donations from our $5 Friday. We are thrilled for them and so grateful to everyone for their support. Our total now exceeds $15,000 for the day. A new update will be posted once the final numbers are calculated. Thank you. Our final total for Leilani Farm Sanctuary for last Friday is $15,355. Amazing teamwork. Thank you all. Our new $5 Friday total is an incredible $32,057 in donations.